Monmouth County Spousal Support Attorneys, Divorce Lawyers | Law Office of Andrew A. Bestafka, Esq. There are many reasons why a couple may choose to legally separate instead of filing for divorce. Sometimes, the legal separation is a precursor to divorce, and in other instances, it may simply be a time for troubled couples to take some time apart to decide whether or not they can continue life as a married couple. This time can be lengthy in many cases and often, it will require an adjustment to the couple’s lifestyle. In situations where one spouse has been reliant upon the other for financial support, spousal support for the duration of the separation can be arranged. Since 2011, spousal support attorney Andrew A. Bestafka has represented numerous people in Monmouth County and all over the state of New Jersey. Over the last seven years in operation, we have earned a national reputation for our work on behalf of couples seeking a legal separation. 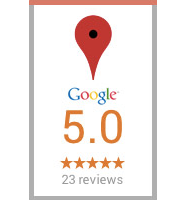 Our firm proudly upholds an AVVO rating of 10 and a Google rating of 5 stars. We have grown to become a successful fixture in the Monmouth County community. The couples we represent aren’t just clients; they’re our friends and neighbors. We will work with you to see that both parties are pleased with the spousal support agreement. If you are looking to make a spousal support arrangement, contact our premier firm today. The Monmouth County spousal support lawyers at the Law Office of Andrew A. Bestafka, Esq., know what it takes to get you the support that you need during your separation. Contact our offices at (732) 898-2378 to schedule a time to meet with an attorney that can help you through this difficult time. Do I Need a Spousal Support Lawyer? Legal separations can be emotional and strenuous for the couples involved. When discussions of finances are an issue during the separation, the relationship can become more strained and difficult. 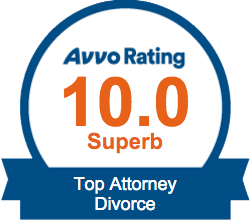 We always recommend that those seeking alimony at any level pursue the advice of an attorney. A skilled spousal support lawyer will be able to act as an unbiased intermediary and can help achieve a favorable alimony arrangement. If you and your partner have come to the conclusion that a separation is the best option for you, let a lawyer handle the task of figuring out an agreeable financial arrangement so that the two of you can begin your new journey without the added stress. Why choose the Law Office of Andrew A. Bestafka, Esq. to handle my case? 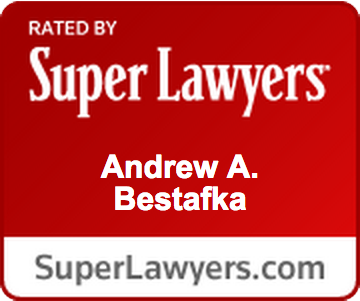 Experience: Law Office of Andrew A. Bestafka, Esq. was founded in Freehold, New Jersey in 2011. 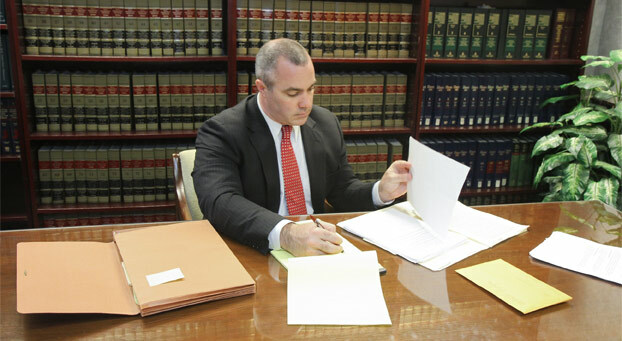 We handle cases from numerous cities, townships, and boroughs in Monmouth County. Few firms in the area can claim to have successfully handled a paralleled breadth of case types in the areas of divorce and family law. Our Award-Winning Firm: Andrew A. Bestafka has earned national recognition for his work on behalf of separated couples. He is rated by Super Lawyers, upholds an AVVO rating of 10 as a Top Attorney for Divorce, was ranked as part of the 10 Best in Client Satisfaction in 2015 by the American Institute of Family Law Attorneys, and has a 5-star rating on Google. Our firm is passionate about helping people like you navigate the tricky waters of separation or divorce, and we are ready to provide you the experienced legal counsel you deserve. Temporary Alimony: Temporary alimony is only provided for a set timeframe during the stage of transition and can provide support for transportation, food, clothing needs, and more. Permanent Alimony: Permanent alimony can become an option when one spouse has no income, is disabled, or when the court thinks that permanent support is necessary. Modifying Alimony: As spouse’s living arrangements change, and the level of alimony support can change with it. Circumstances where modifications to alimony can be made include instances where the receiving spouse experiences a financial increase, the paying spouse experiences a financial decrease, or if the receiving spouse remarries. Because this financial arrangement is so important to your future, it is imperative that you take the proper steps during this process. Don’t leave your financial stability up to chance. Contact a qualified lawyer today. Working to find a sound and stable financial future is important to both you and your children. At Law Office of Andrew A. Bestafka, Esq., our #1 concern is making sure that you and your families best interests are protected. The New York Times reported that according to the Internal Revenue Service that “former spouses pay around $9 billion in alimony each year.” According to the Pew Research Center, in 1960, only 11% of “households with children under the age of 18 included mothers who are either the sole or primary source of income for the family.” As of 2011, that percentage has increased substantially to 40%. Of that percentage of women, 37% are married women with an income that is higher than their husbands, while 63% are single mothers. Alimony can be determined by numerous factors, including the age and mental conditions of each person and their physical conditions, including disabilities. The court will also consider whether or not it would be practical for a spouse to acquire employment due to their children, what the assets are of each person, the standard of living the couple had during the time they were together, and any other relevant information as it relates to the spouses’ equities. Spousal Monmouth County support attorney Andrew A. Bestafka and his skilled legal team have dedicated their lives to ensuring that the residents of Monmouth County receive quality legal representation. We understand that the people of this County are in need of a compassionate and honest attorney to help them make informed decisions about their financial future. That is why for more than seven years, our legal team has worked non-stop to make sure that our clients receive the high-level legal care they deserve. If you are interested in pursuing spousal support options during your separation, it is important that you retain the services of a legal professional that you can trust. Contact the Law Office of Andrew A. Bestafka, Esq., at (732) 898-2378 to schedule a consultation with an experienced member of our team today.